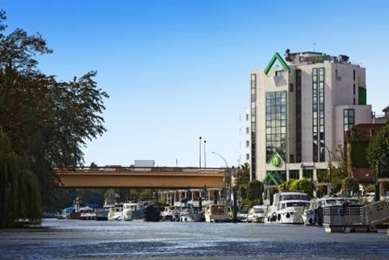 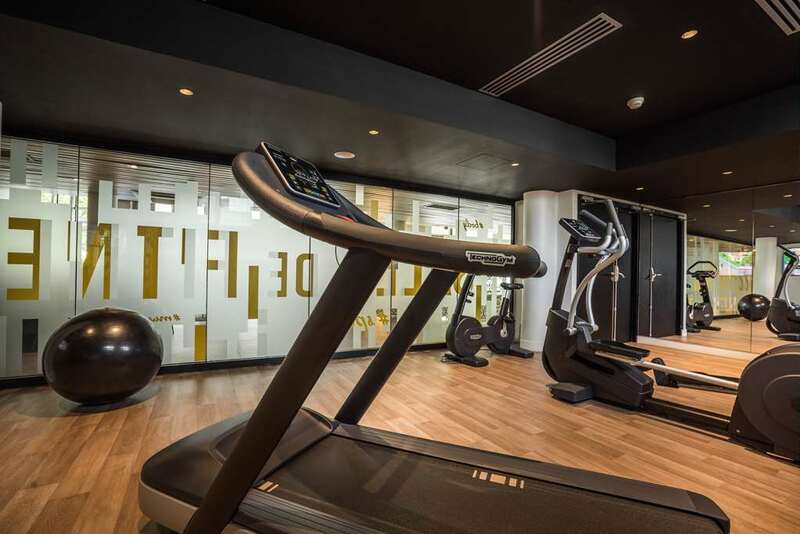 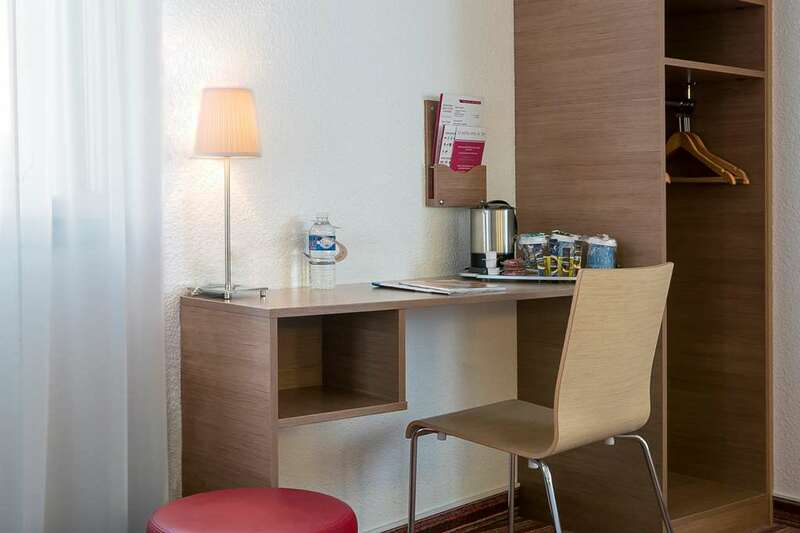 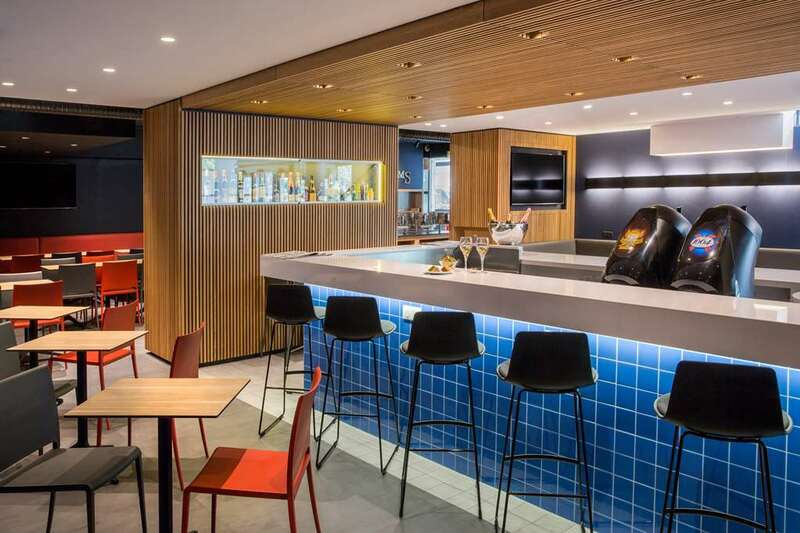 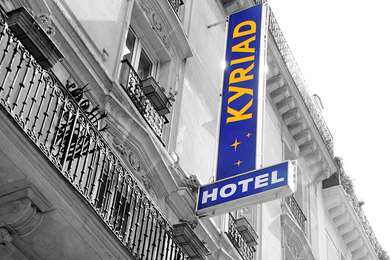 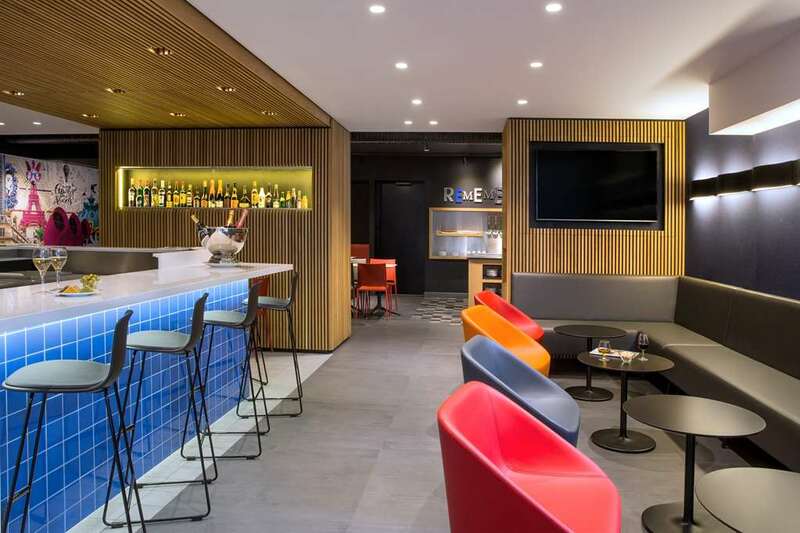 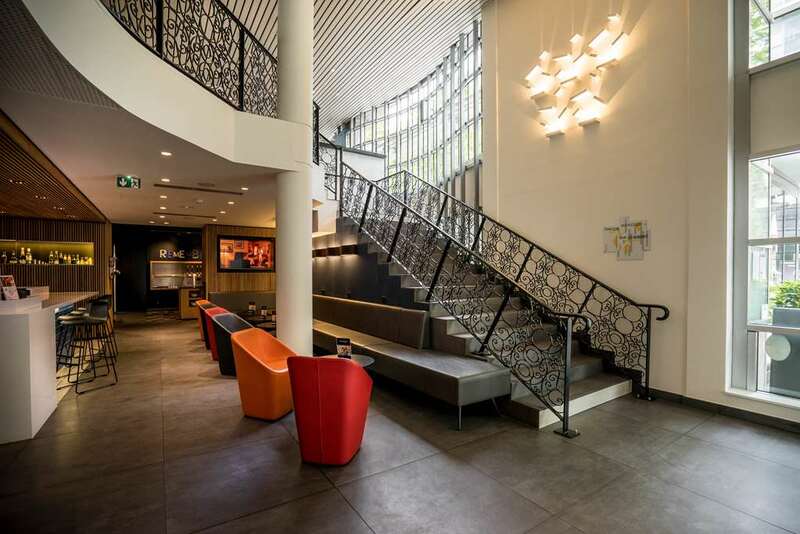 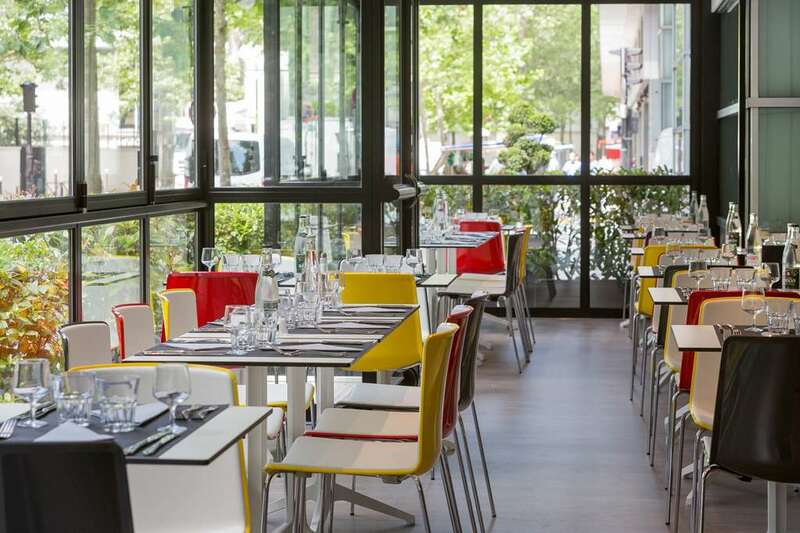 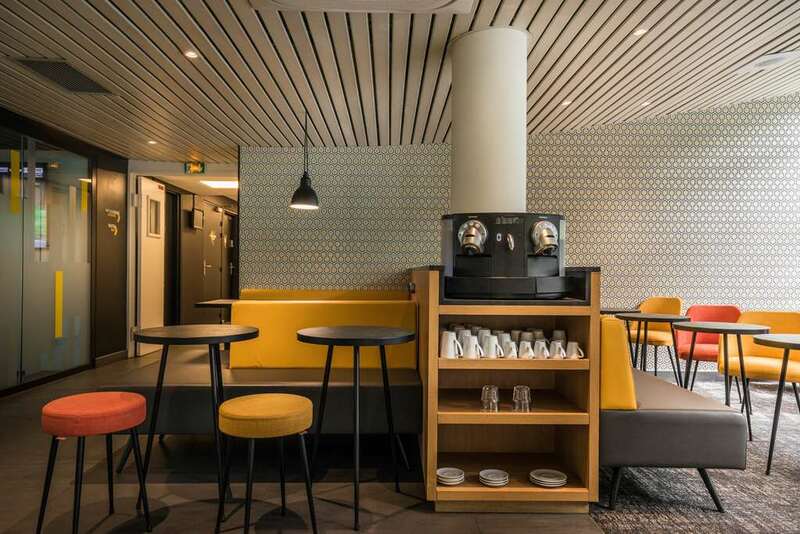 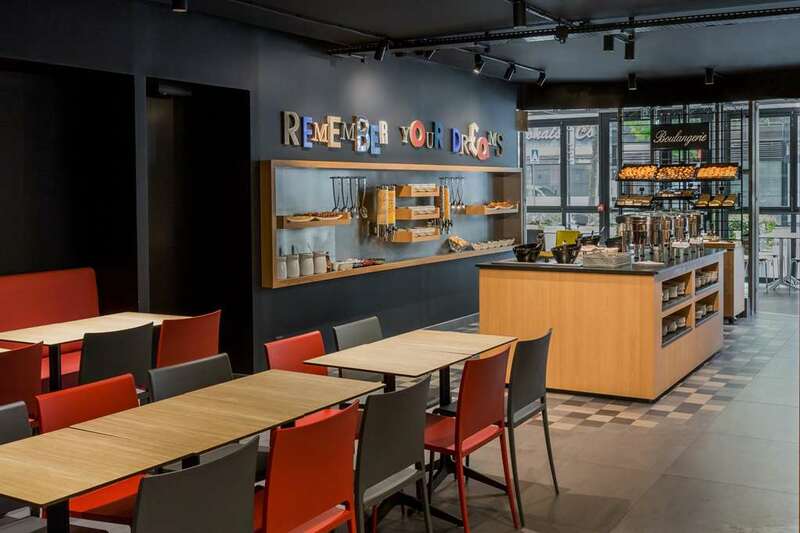 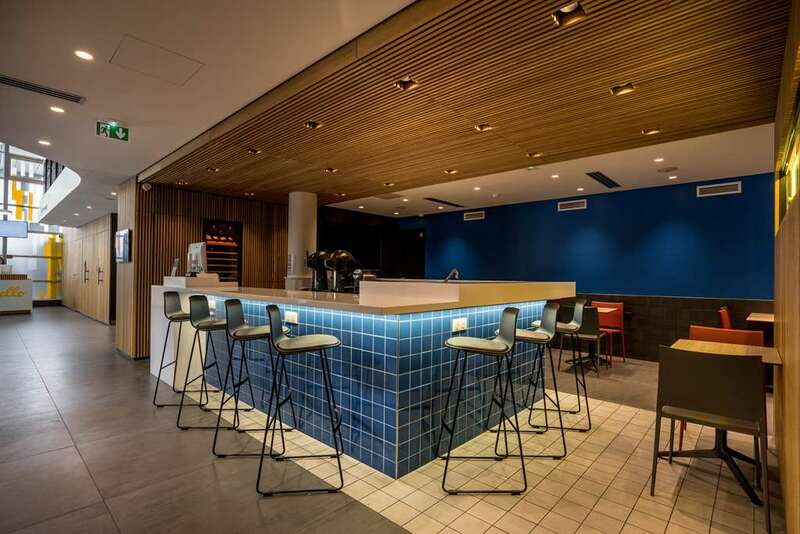 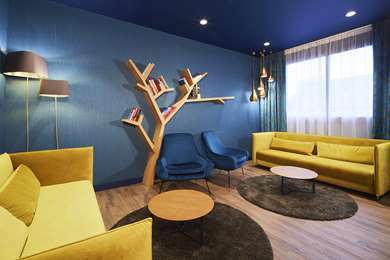 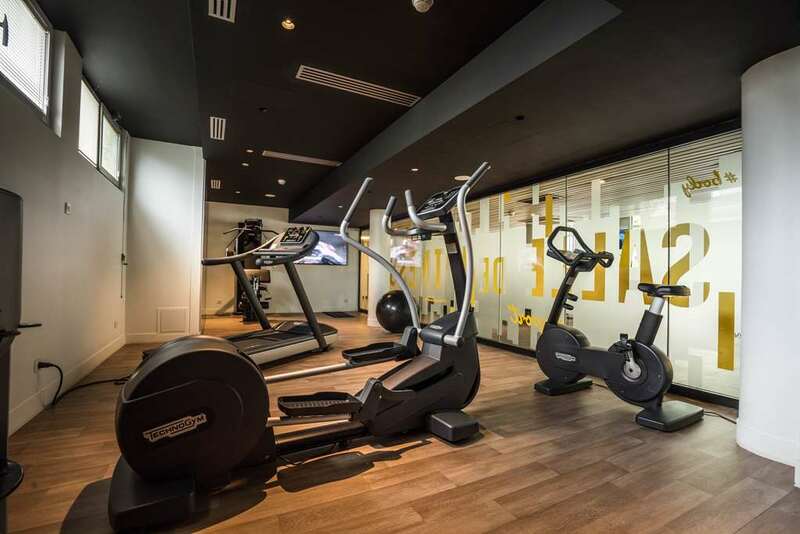 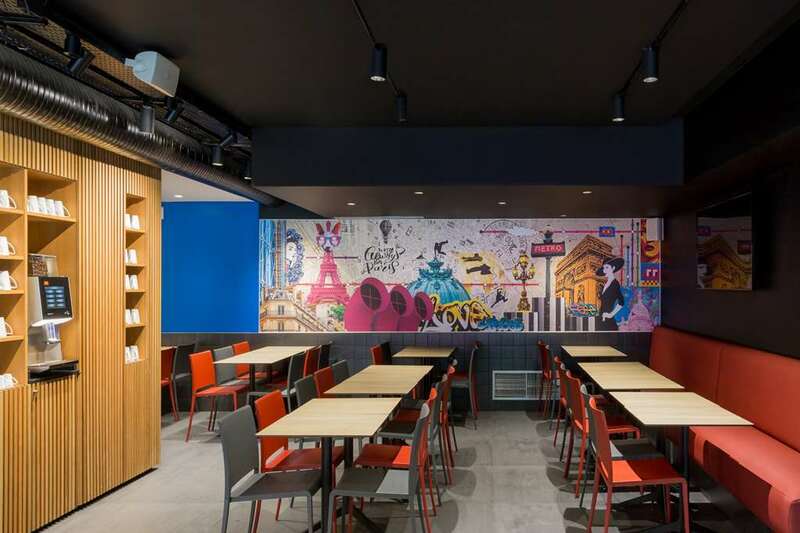 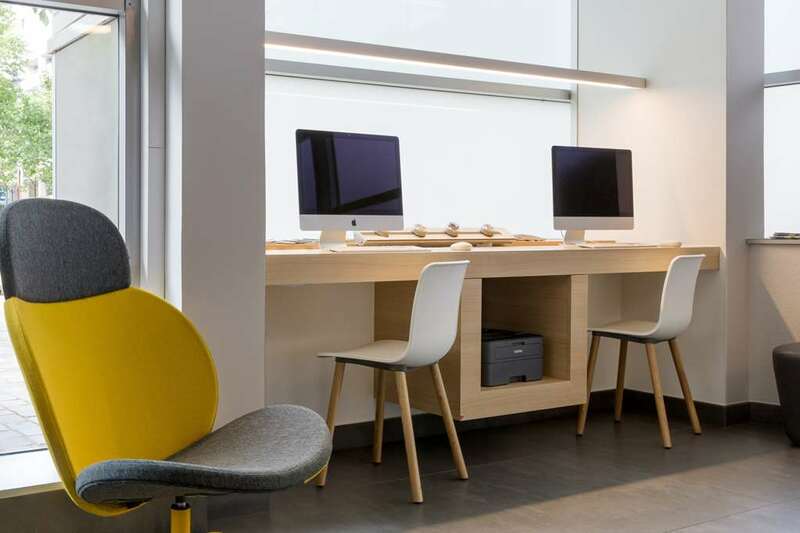 Hotel Kyriad Paris 12 – Bercy Village, located on the east side of Paris, is ideally located for exploring the French capital and surrounding areas. 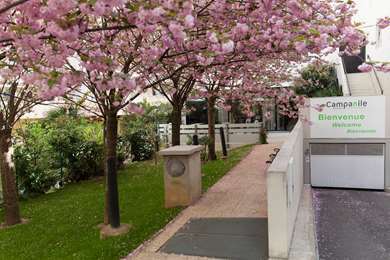 If you like taking walks and being outdoors, you will love Parc de Bercy with its 35 acres and three gardens. 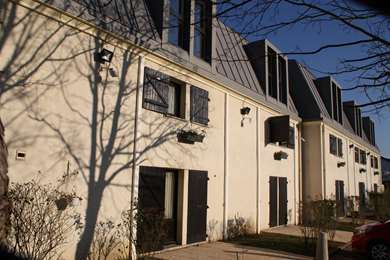 You can stroll until late evening along Cour Saint-Émilion or at Bercy Village. 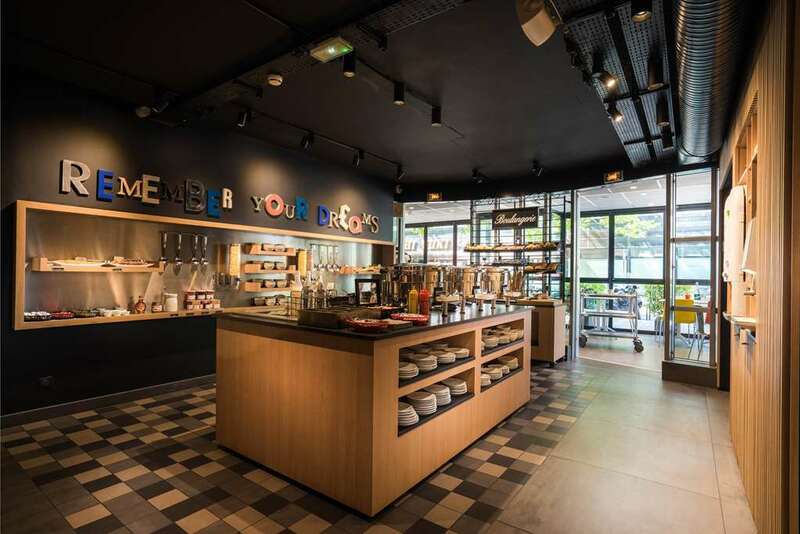 There are plenty of stores (Fnac, Maje, IKKS, Fragonard, Scotch & Soda, Nature et Découvertes, etc. 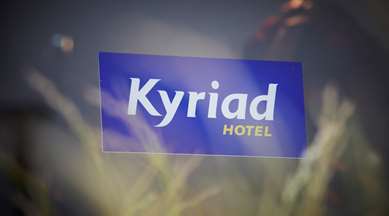 ), as well as restaurants and UGC Cinemas for your enjoyment. 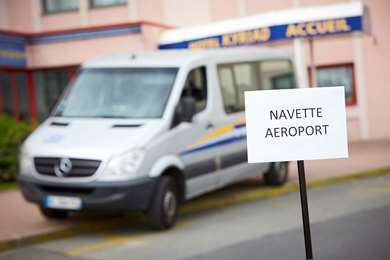 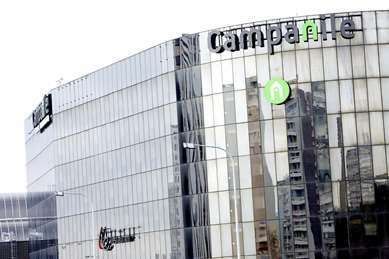 Shopaholics will want to go to La Madeleine and to the Grands Magasins department stores on line 14, in just 10 minutes. 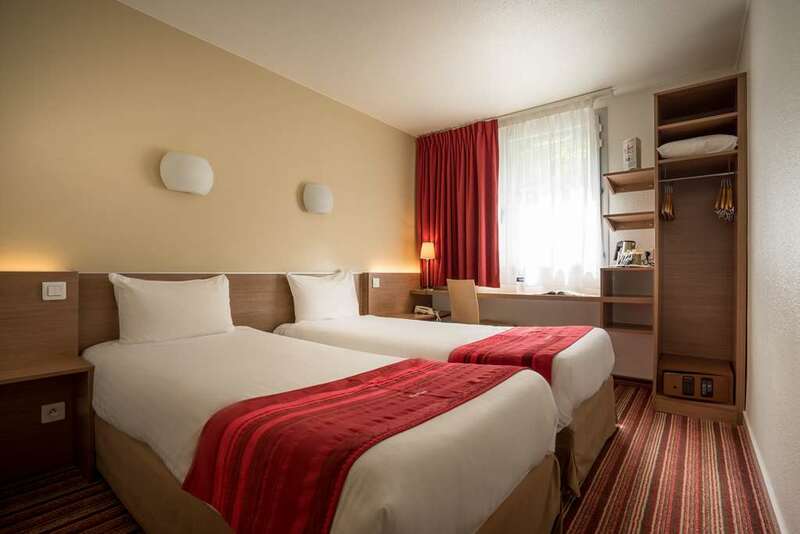 The closest Metro station is located right next to the hotel, and access to Disneyland Paris is rapid and direct. 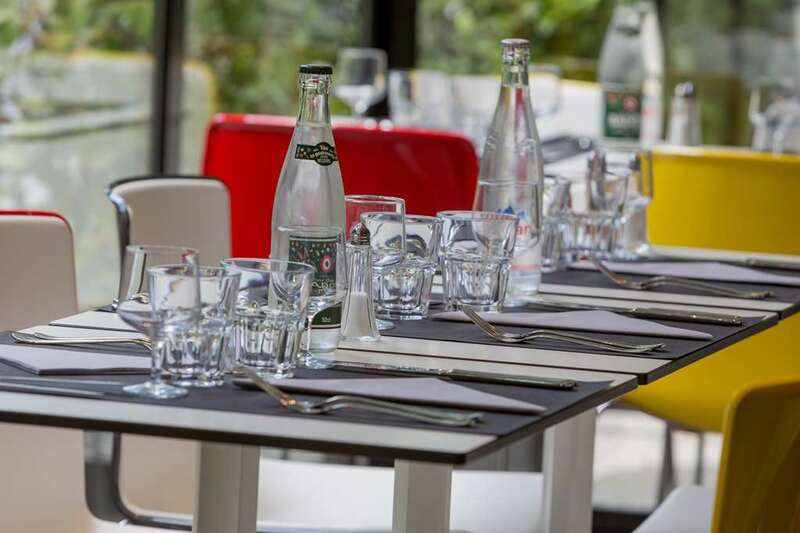 The Bercy Sports Arena, home to many concerts, shows and sports events, is only 10 minutes away on foot. 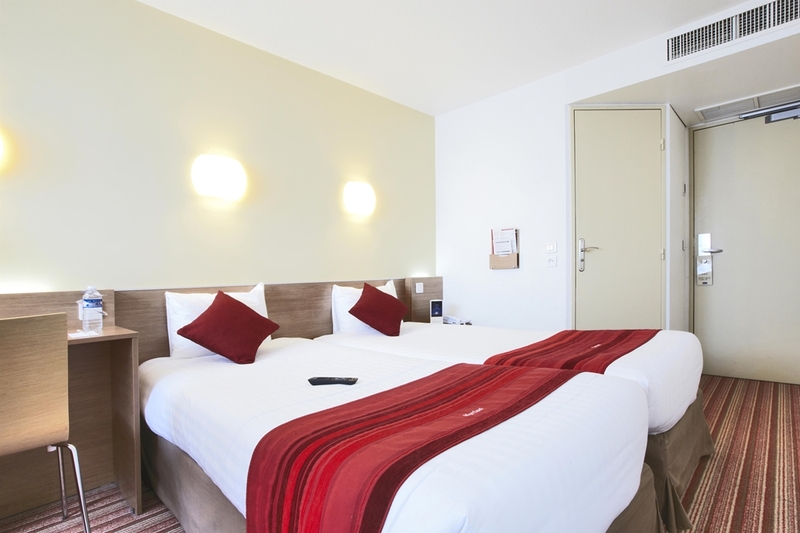 The 201 modern rooms at our Bercy Village hotel are entirely renovated and equipped with air conditioning and free Wi-Fi. 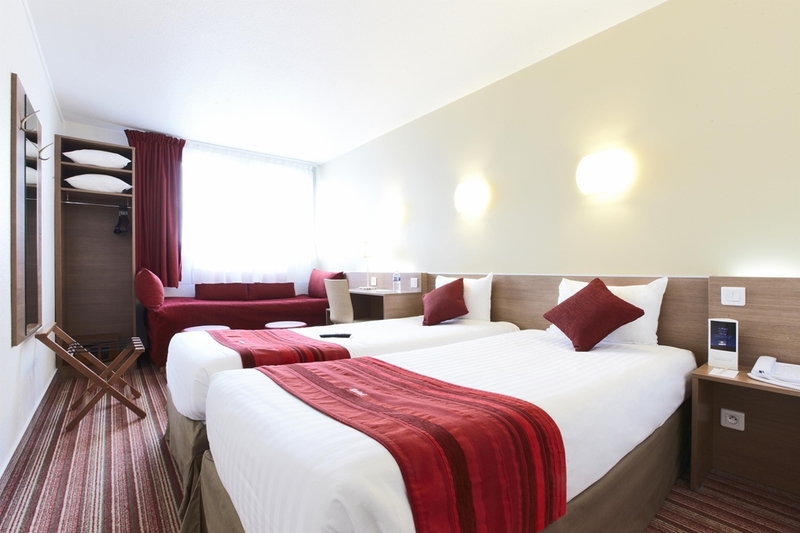 All rooms have double windows to make sure you get peace and quiet with optimal comfort. 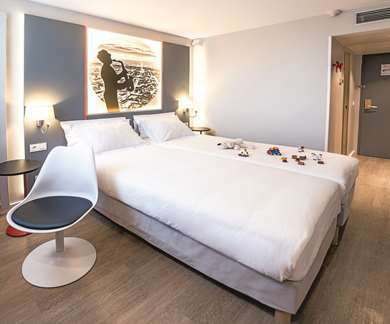 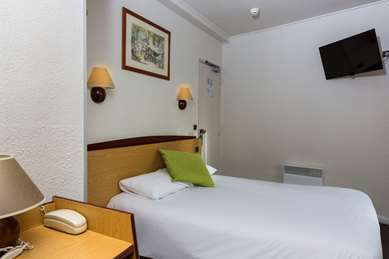 Whatever type of room you choose, (single, double, twin or triple), all are equipped with a flat screen TV and Canal+ and CanalSat, a private bath with a shower, sink, toilets, courtesy products, bath towels and a hair dryer. 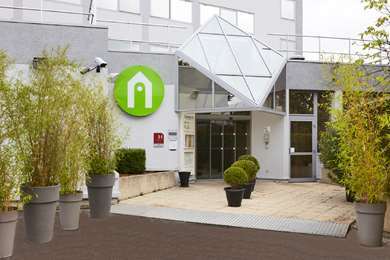 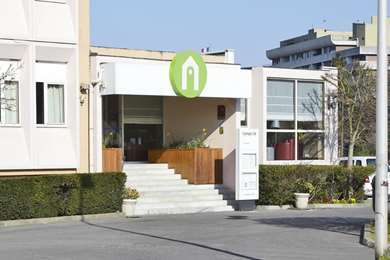 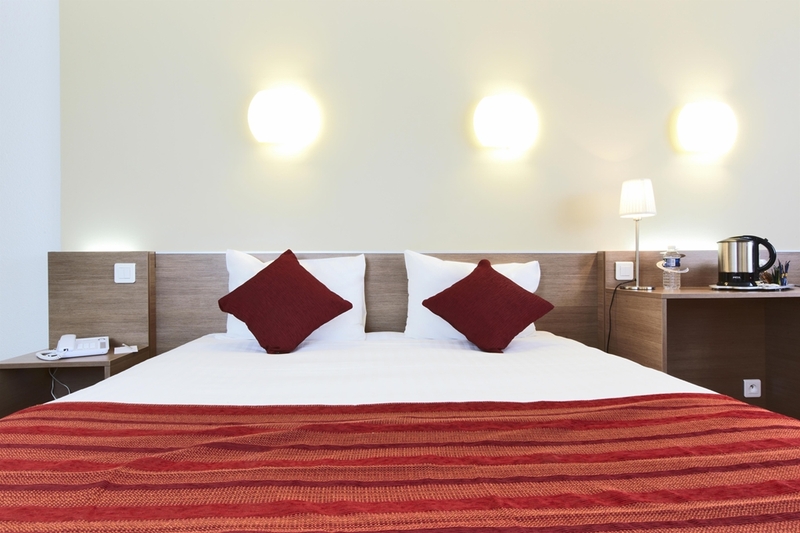 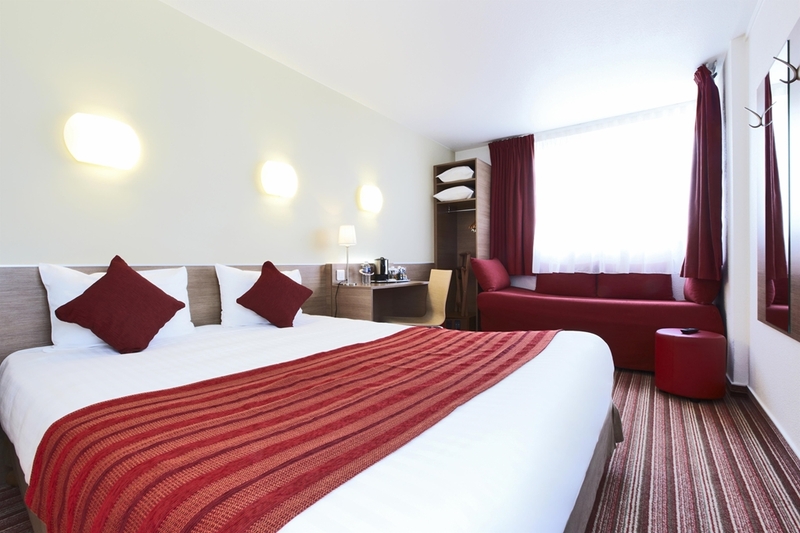 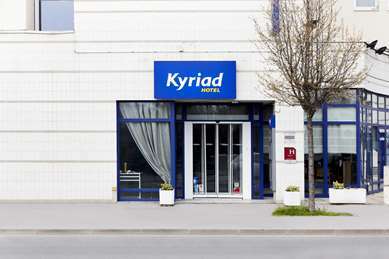 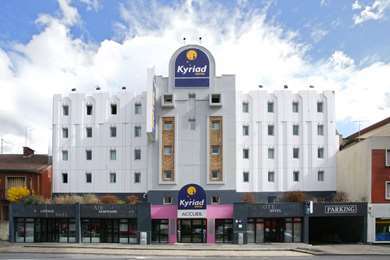 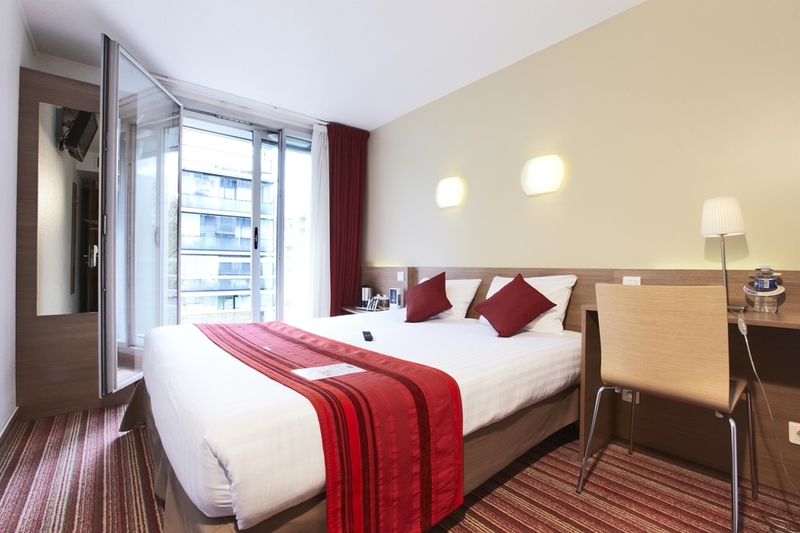 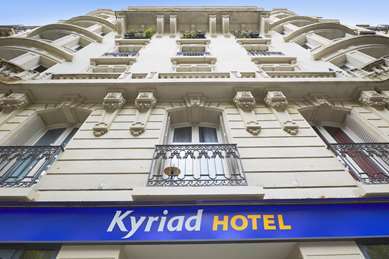 Hotel Kyriad Paris 12 – Bercy Village also has 6 rooms accessible for people with reduced mobility. 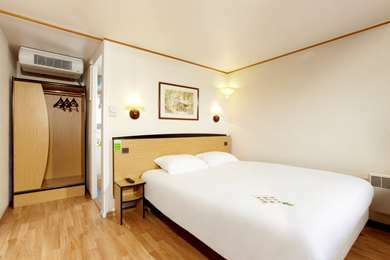 The doors to the rooms and bathrooms are wider and the rooms have a large 63 x 79-inch bed. 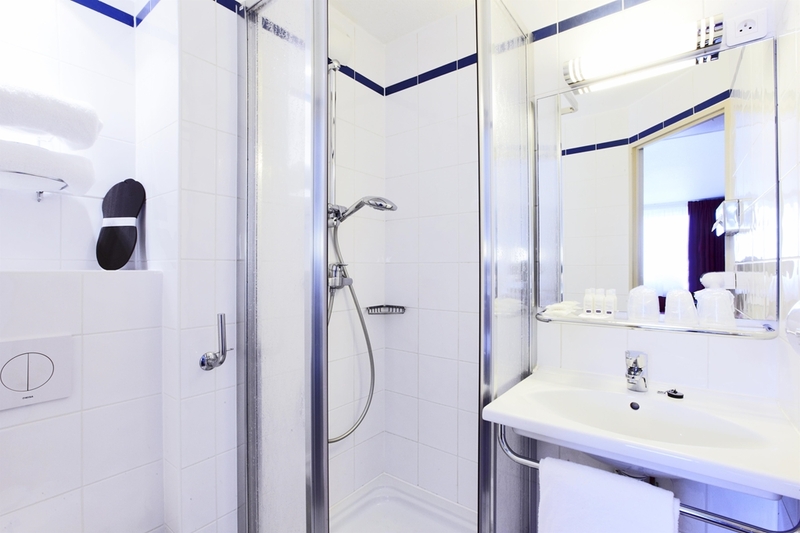 The showers are Italian style with a folding seat and the sink and hair dryer are wheelchair adapted. 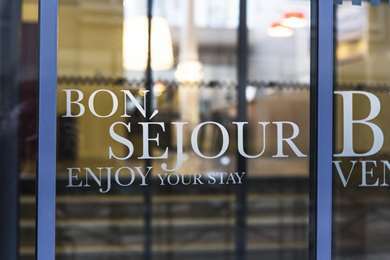 With attention paid to every detail, a welcome tray with coffee, tea, cakes and chocolates is made available to you as soon as you arrive. 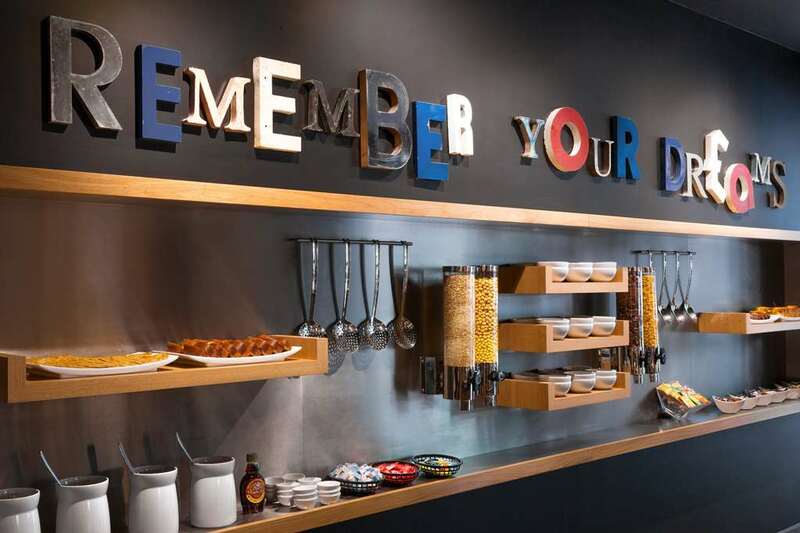 To start your day off on the right foot, we offer an American-style breakfast served as an all-you-can-eat buffet with a wide selection of options, including scrambled eggs, sausages, fresh fruit salad, 100% pure fruit juice, Danishes, cakes, organic products, and more. 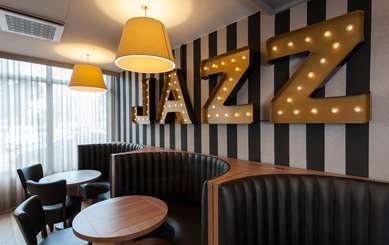 We offer a large selection of drinks and cocktails. 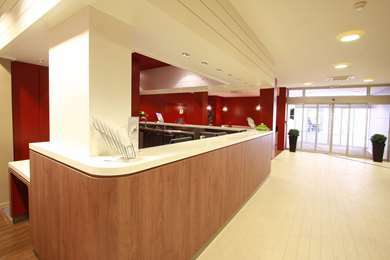 Our bar welcomes you to a warm and friendly atmosphere for a cocktail, a glass of champagne, or just a beer or fruit juice. 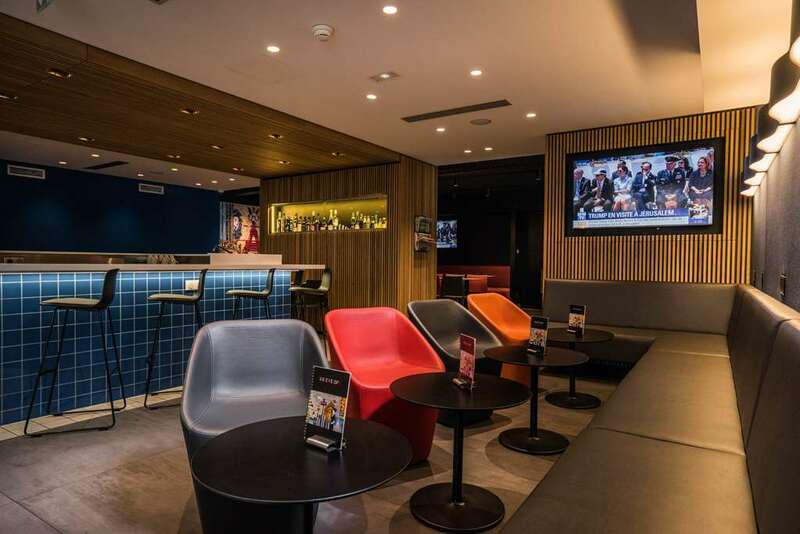 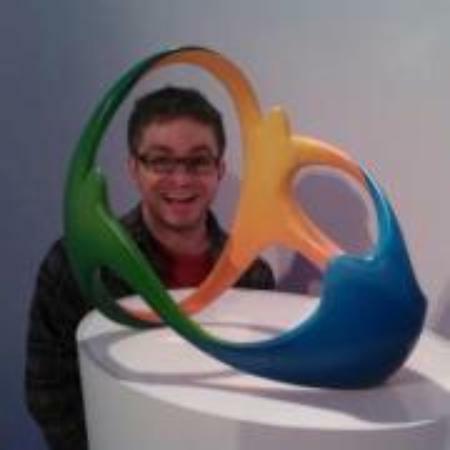 Here you can watch sports events on our large screen TV in a modern, comfortable setting. 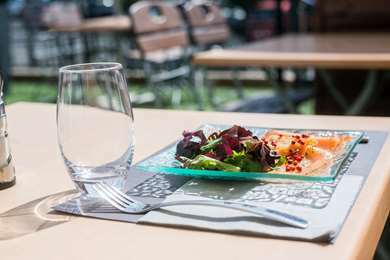 Weekdays, our light meal menu offers large salads, pasta and omelets. 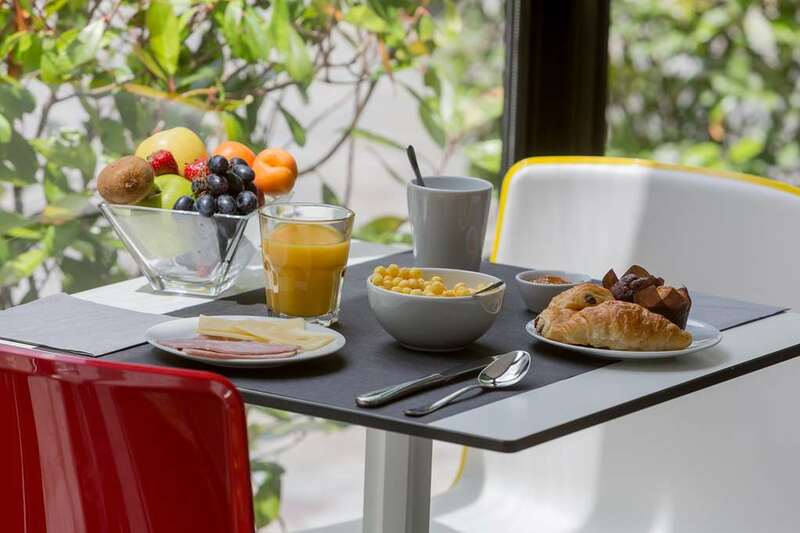 For €8, enjoy a dish of your choice of pasta, accompanied by a drink and a Yoplait fruit yogurt to eat in your room or at the bar. 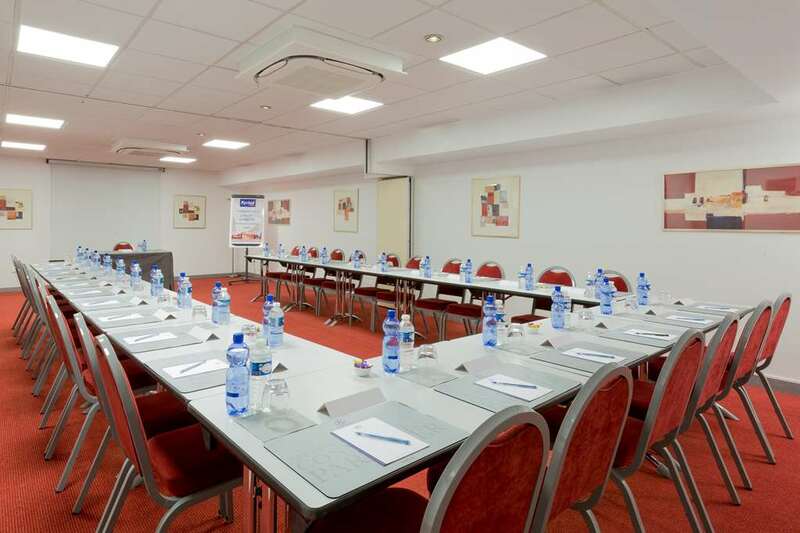 For business meetings in Bercy, the hotel has 3 fully equipped rooms with separate air conditioning and free Wi-Fi access. 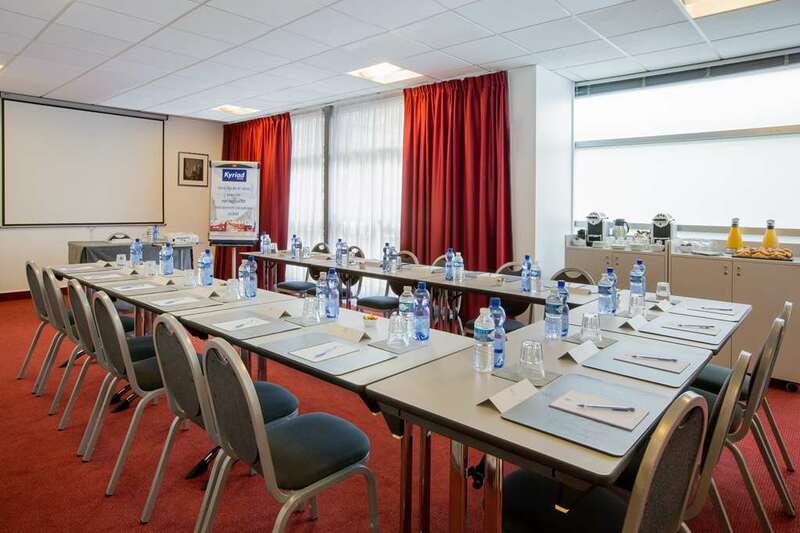 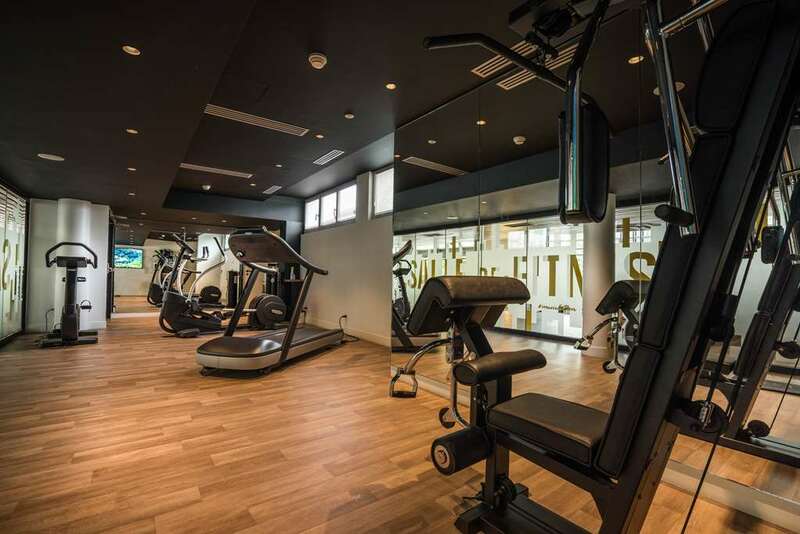 These rooms have the K-Business label that guarantees comfort, personalized reception, and all the equipment needed to make your meeting a success. 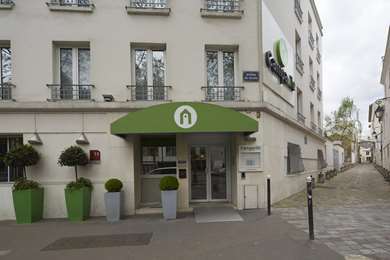 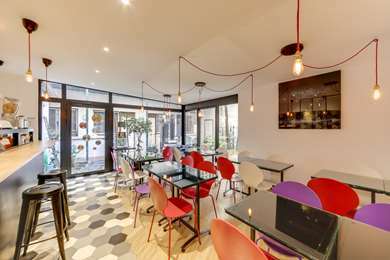 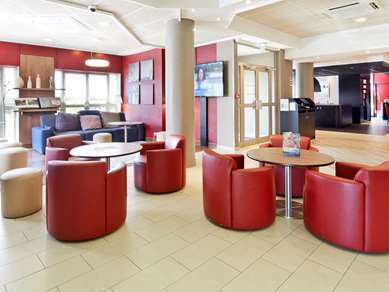 "Decent value & decent location for Paris"
"Great stay near Bercy Village"